Fine filter coffee, ready at every opportunity. 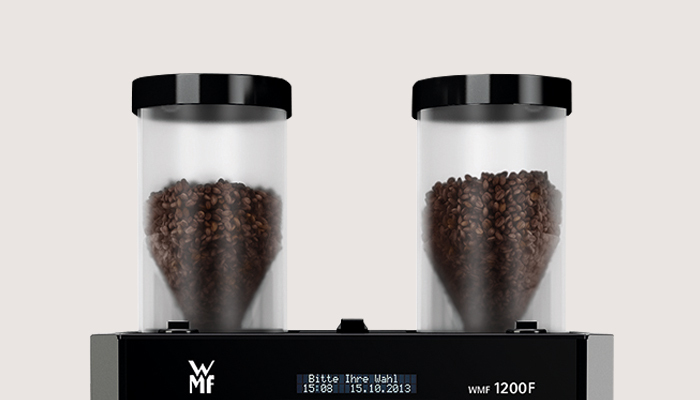 Filtered Coffee tastes best when it is made using freshly ground beans – exactly the way that WMF 1200 F does it! 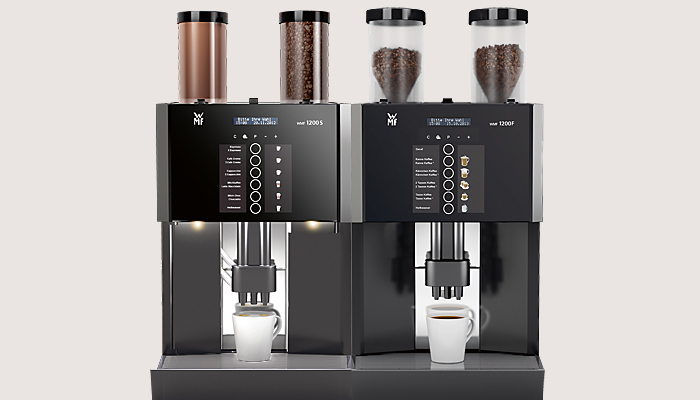 The perfect cup or larger volumes of filtered coffee can be prepared at high-speed: 0.5 litres of freshly ground and filtered coffee can be brewed in just 65 seconds. Thus filling up a large mug or thermal jug is just a matter of moments. Furthermore the optional quantity brewing arm allows dispensing of coffee into large insulated jugs. 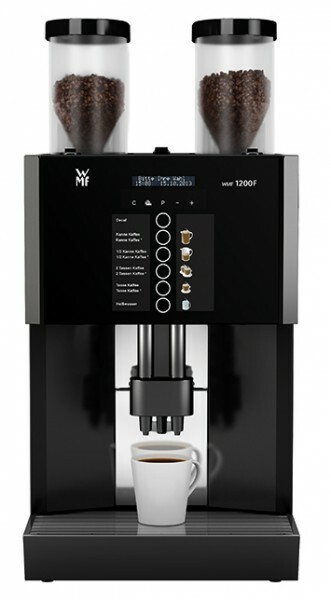 Whether it is used as additional equipment for a WMF specialty machine, to make coffee for breakfast or to provide coffee for large meetings and many guests, the WMF 1200 F ensures the outstanding coffee experience. Labels are easy to alter. Cups, pots and mugs can all be used. Why not ring the changes! 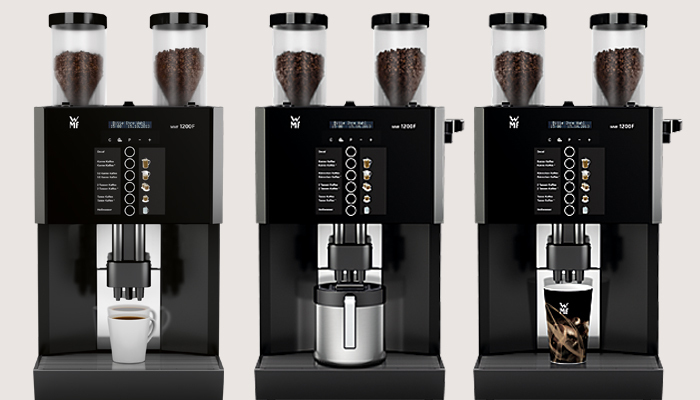 0.5 liters of coffee made from freshly ground beans: freshly brewed in just 65 seconds. Hot water e.g. for tea produced at the perfect temperature – at the touch of a button. 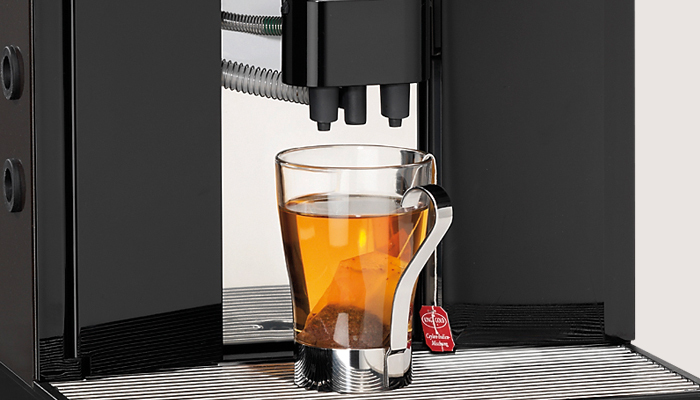 Makes coffee-dispensing easier: for cups, pots and mugs of up to 165 mm in height. Thanks to its sleek dimensions, the machine fits in anywhere. 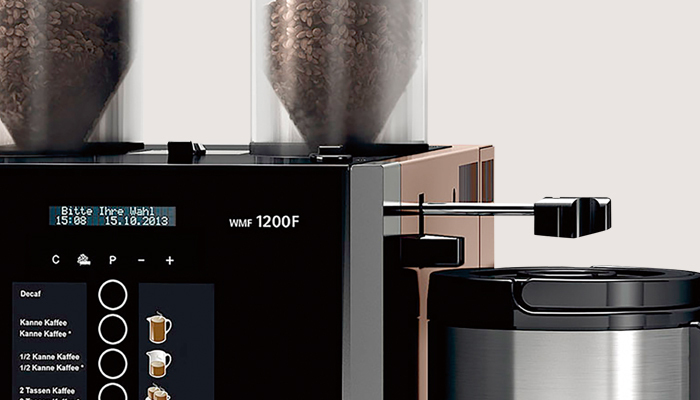 Combining it with the WMF1200S enables the preparation of any coffee speciality. 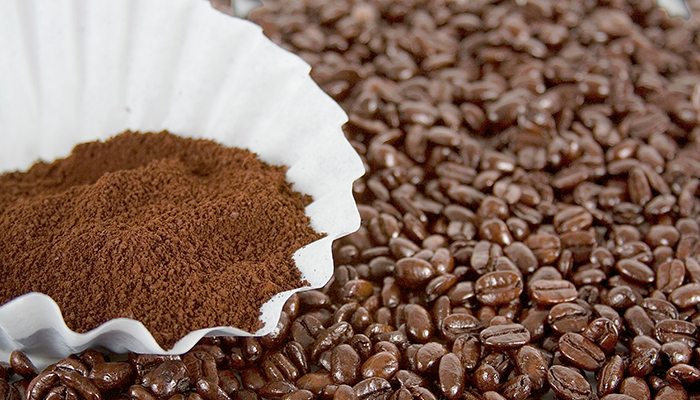 Provides for example the additional option of offering decaffeinated from the whole bean. 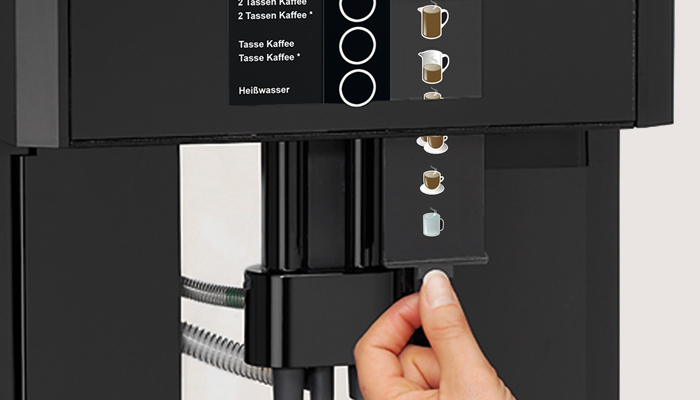 Larger volumes of coffee can be dispensed by using an optional brewing arm that extends from the side. It is possible to fi ll jugs up to 170 mm in diameter and 395 mm in height. Thermos container 2,4 litres; additional option for WMF 1200 F with brew arm pullout and jug tray.